Martex presents the 2000 Series Ultra-Soft Microbrushed sham - a luxurious addition to your bed. Created with microbrushed polyester fabric, this sham is silky soft, wrinkle-resistant, and quick drying for low-maintenance care. 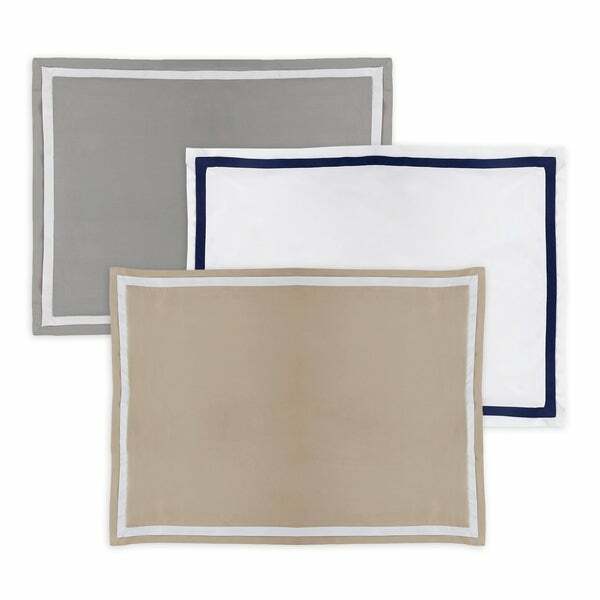 Detailed with an all-around band of contrasting colored fabric (Khaki/White, Gray/White, and White/Navy) on the front, the sham reverses to a solid two piece fabric closure. Includes one sham. The Martex 2000 Series Ultra-soft Microbrushed Sham is available in two sizes; Standard and King. Dimensions 26.0 In. X 20.0 In. X 1.0 In.